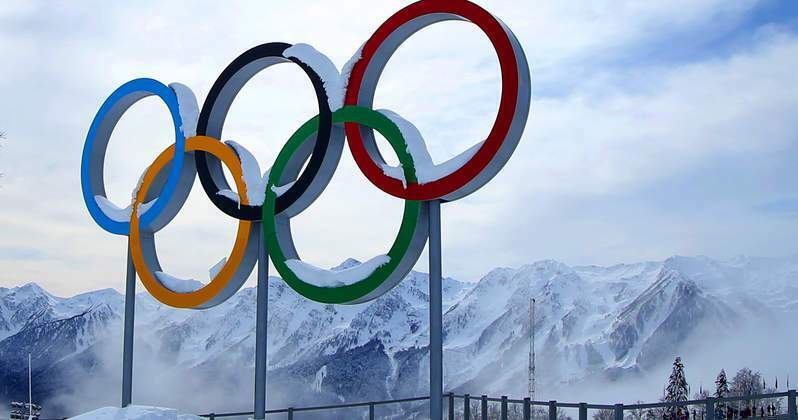 The Winter Olympics usually come second in popularity to the summer version of the competition. But this year has seen the games in the spotlight for very different reasons. After months of tension between the USA and North Korea, during which the latter insisted on carrying out nuclear test after nuclear test in the face of utter outrage and disbelief from the rest of the world, suddenly the wind changed. 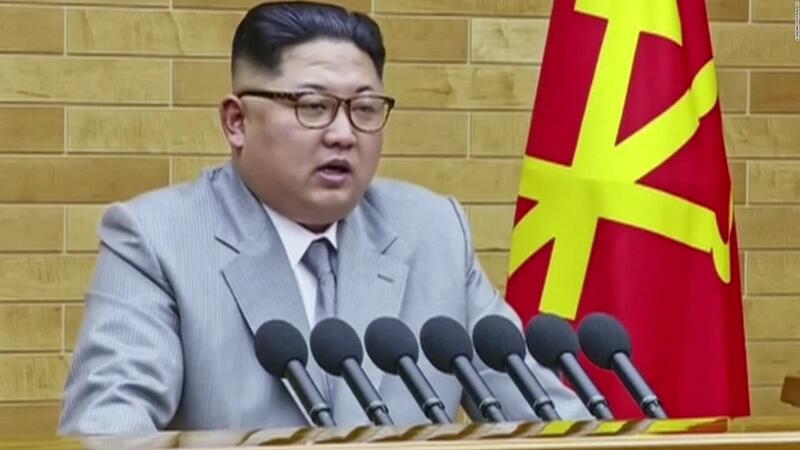 Kim Jong Un appeared for his annual New Year’s broadcast wearing what looked suspiciously like Armani, his Mao-esque-style suits seemingly confined to the back of the wardrobe, and offering to send twenty-two athletes to the games in South Korea. 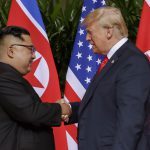 Whether the young despot had been playing the long game, convincing the international community that he would happily nuke them, then finally offering an olive branch knowing they would jump at the chance to take it – or he’d simply had enough of President Trump’s tweets and thrown in the towel – it can only be looked at as a promising move towards peace and relative cooperation from the belligerent and hermetic state. The Winter games are taking place in PyeongChang in temperatures of -6 Celcius on a good day. A sports broadcaster over there reporting on the Olympics found herself referring to zero degrees as balmy, the climate near to the mountains being somewhat extreme. 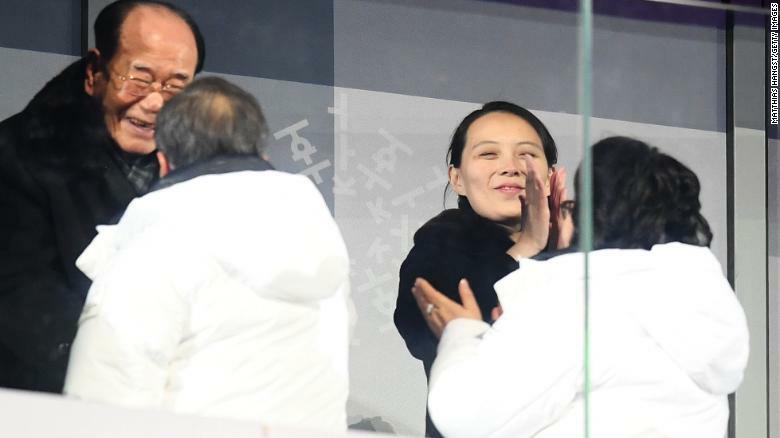 There were rumours that Kim Jong Un’s sister, Kim Yo Jung, would be attending the games. Yo Jung has rarely been seen in public apart from the odd grainy photograph of her standing in the background with her brother holding court in the fore. She holds considerable political power, her role being primarily to make her brother look good, as the Deputy Director of the Propaganda and Agitation Department of the Workers Party of Korea. After the opening ceremony today it seems that the rumours were true. Kim Yo Jung is the first family member to set foot in South Korea for sixty years. History has been made in front of the eyes of world as she shook hands with South Korean President, Moon Jae-In twice, while it was reported that Vice-President of the USA, Mike Pence, sat stony-faced observing the scene. Today has been one of hope for Koreans. As part of the opening ceremony a giant dove lit up the sky and famous South Korean singers sang John Lennon’s ‘Imagine’. Most significantly, North and South Korean athletes walked in together for the first time in eleven years. Although these nations are technically at war, today has shown that one day there might be peace.